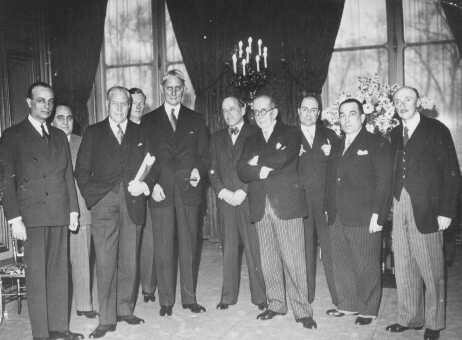 Delegates to the Evian Conference, where the fate of Jewish refugees from Nazi Germany was discussed. US delegate Myron Taylor is third from left. France, July 1938.